Half Day Orange River rafting. 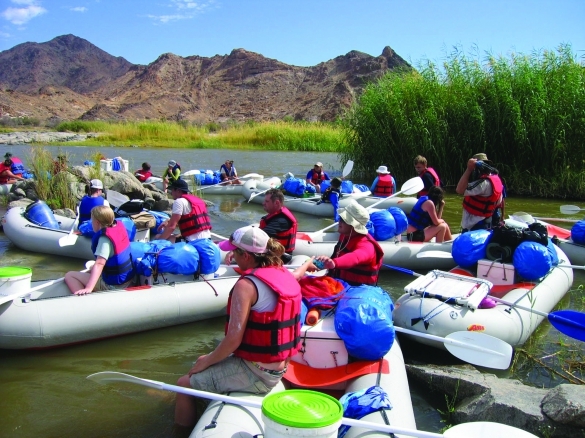 This half-day rafting trail is a perfect short stay adventure option for travellers and visitors passing through the Richtersveld and Orange River region. 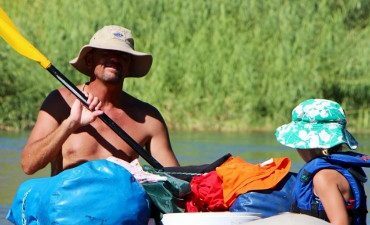 Stay at our Growcery Camp for one day and enjoy a relaxing half-day paddle on the orange river. Our half day orange river rafting trail will start and end at our base camp The Growcery. This half-day trail is suitable for all people without any previous experience. Our team will supply all rafting equipment and transfers to the starting point of our trail. The point of departure varies, all depending on the water level of the Orange River. What to expect: You can expect first rapids, fast-flowing channels and weirs along your way. The half-day rafting trail is surrounded by working farms and granite rocks with lava deposits and reed beds along the banks of the river. There is fantastic birdlife along the banks of the Orange River. Most common sightings will be Goliath Heron, Fish eagles, Jackal Buzzards, Gymnogene, Cormorants, Egyptian geese, African black duck, weavers and some migrating birds. A highlight on our half day orange river rafting is our rock jumping underneath the yellow cliffs. The rock jumping is optional to those you seek a more adventurous approach. 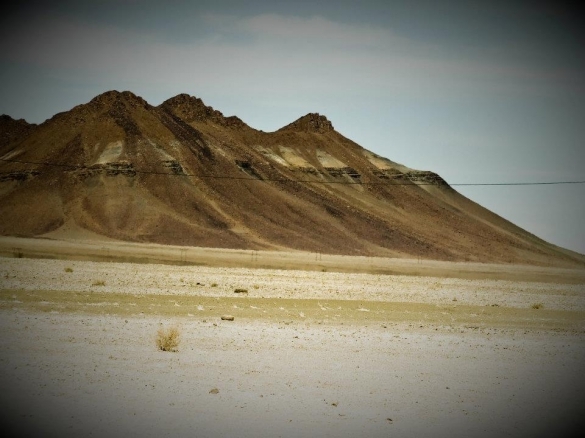 This trip is not a race but rather a relaxed introduction to the Richtersveld desert and its rugged mountains. 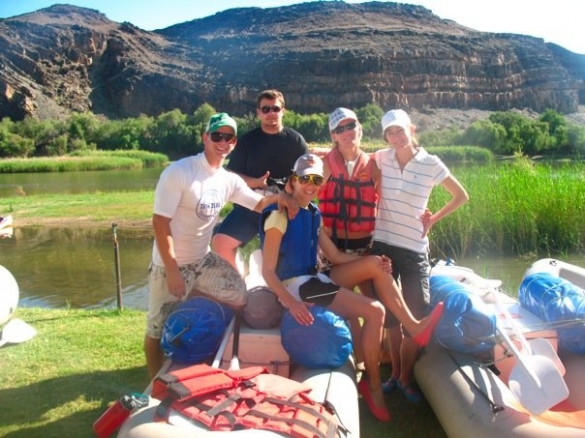 RATES INFO: Please book your Half day orange river rafting at least 24 hours before departure. 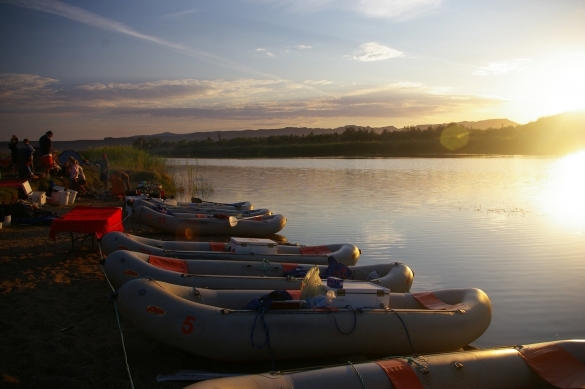 The half day Orange River rafting trail is perfect for travellers passing through the camp. It is suitable for all ages. 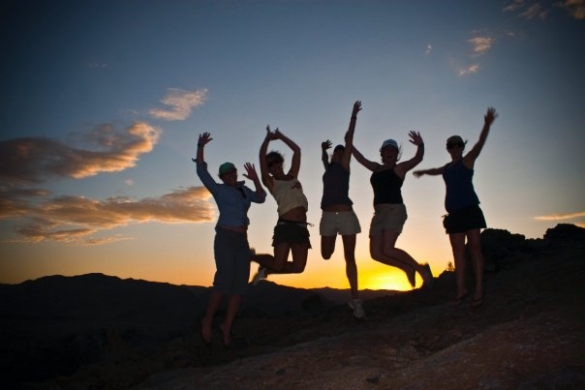 Passengers enjoy the relaxed environment and magnificent mountain views along the Orange River. This adventure is suitable for every season right through the year.